Open Learning Exchange Nepal (OLE Nepal) is a social benefit organization dedicated to enhancing education quality and access through the integration of technology in classrooms. Since its inception in 2007, OLE Nepal has pioneered the use of technology in schools and provided open and free access to quality education and innovative learning environments to children. 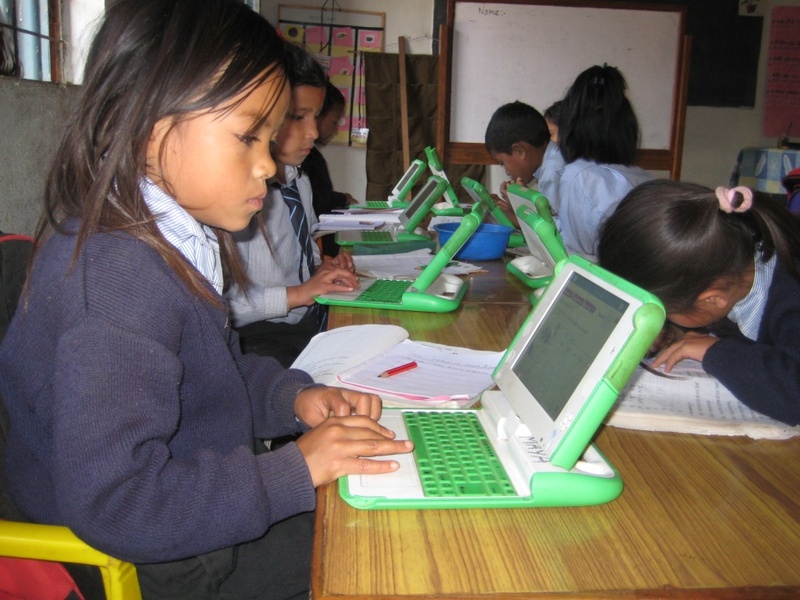 OLE Nepal partnered with One Laptop per Child and IDRF, to ensure that schools in Nepal provide students access to laptops and incorporate technology into the everyday school curriculum. OLE Nepal is currently providing a school in the Bajhang District (far-western part of Nepal) with 250 laptops, as well as a concurrent curriculum and teaching methodology. OLE Nepal has also launched the E-Pustakalaya, a digital repository that can be accessed from the Internet ( www.pustakalaya.org) or through an internal network of local servers installed in schools and community centers that are without Internet access. This e-library enables students, teachers and families from different geographic and economic background to freely access the same high quality educational resources at their own convenience.E-Pustakalaya allows users to browse through the library collections, search for specific items, read documents in the browser, and download documents for later use. Since its launch in February 2009 the e-library has made great progress. It now has a collection of over 7,000 e-books, thousands of audio books, educational videos, learning software and reference materials such as Wikipedia and maps that provide invaluable resources to students, teachers as well as to the general reader. While the project will continue to add the collection in various categories, and expand the access to the materials by installing offline servers in more schools through partnerships with the Ministry of Education, Nepal and other organizations, they will focus on upgrading the underlying content management system, and enhancing the overall software to allow users to easily find and use the resources. The project will employ e-library coordinator, library systems engineer, and software programmer to carry out the activities for the enhancement of the digital library. Please click on the link to learn more about OLE Nepal’s programs.